The Little Black Gallery in Kensington is one of many boutique galleries in the south west of the capital, offering not only the opportunity to view great pieces but also make a purchase if you have the funds. Currently on display is Patrick Lichfield's 'Caribbean', a series of photographs, many previously unpublished, from the 1960's showcasing the organic vibrancy of island life. Lord Lichfield is acclaimed as one of the top photographers of his time. After a thorough introduction to the business as an assistant, he built up his own reputation, landing a chance to shoot the Duke and Duchess of Windsor in 1981. He then went on to photograph the royal family, notably the Queen's Golden Jubilee in 2002. Lichfield moved to the island of Mustique in the mid-1960's, as a result these images are more than just a set of documentary photographs, they establish a relationship with an environment that he called home. The photographs are simply stunning; the colours span the whole spectrum, the people are adonises and there's the unavoidable hippy charm of the era. It's said that it's impossible to take a bad photograph in the Caribbean, but Lichfield shoots at a deeper level than one of holiday-style photos. The persistent theme of the "male gaze" when photographing females is evident throughout his work. The women, nature and vegetation in his images all elude to a fertile, curvaceous spirit that is in essence a beautiful thing - however the execution is contrastingly masculine. Bold symmetry and choreographed poses imply a rigidity, not necessarily an awkwardness but definitely a stubbornness. Other photography galleries such as Proud Gallery are nearby, on Kings Road and are worth a visit if you're in the area. 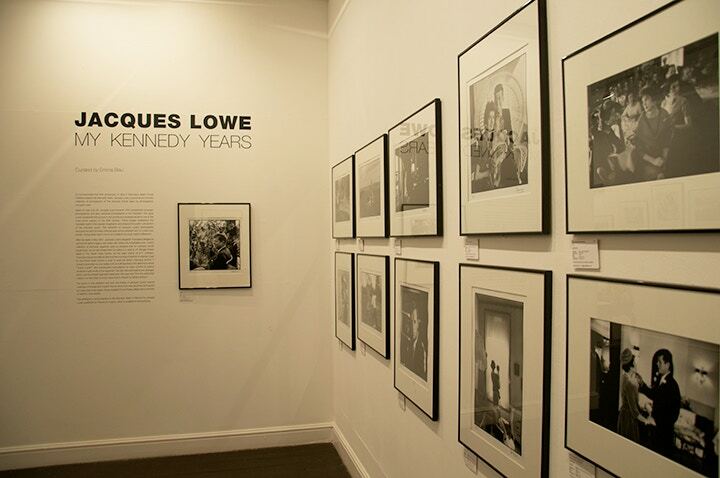 Serving you photographs of iconic celebrities through the 20th century, the current exhibition is dedicated to the works of Jacques Lowe, photographer to President John F Kennedy. As with Lichfield's work there's something tantalising about seeing celebrities in a relaxed climate, and particular shots of JFK and Jackie in their home are a wonderful insight to both their individual characters and the culture at the time. Proud Gallery Chelsea also has sister galleries in Camden and on the Strand. 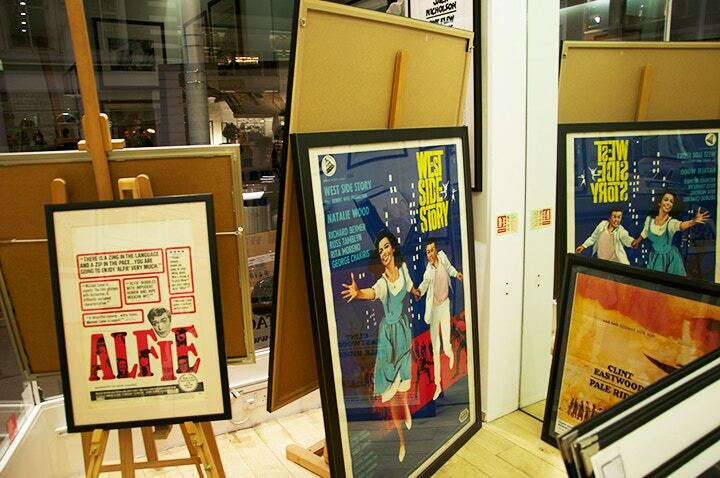 Another place worth dipping into is Limelight Movie Art, a fantastic retro movie posters shop. The changes of popular culture are beautifully told through the different approaches to poster design. The borough of Chelsea and Kensington is often an overlooked gem in the crown that is London's dazzling art scene. If you're in the area, or if you fancy a change of setting, then there's a host of talent to explore along the Kings Road and beyond. For more information head to the galleries' websites: LBG and Proud Galleries.